California has been the leading agricultural state since 1950, largely because of its specialization in high-value and often labor-intensive fruit and nut, vegetable and melon, and horticultural specialty (FVH) crops. These FVH crops were two-thirds of the state’s $47 billion in farm sales in 2015, and represented over 90 percent of California’s $35 billion of crop sales. California exports 40 percent of the value of its farm production, and Canada and Mexico take a quarter of the state’s farm exports. The Trump Administration is renegotiating the North American Free Trade Agreement, which could reduce farm exports to and imports from NAFTA partners. California FVH and midwestern grain and meat farmers generally favor freer trade with Mexico, while Florida and southeastern farmers who produce tomatoes and other commodities want to restrict Mexican imports. California agriculture hires 850,000 people to fill an average 420,000 year-round equivalent jobs, a ratio of two workers per job. These workers, mostly unauthorized, are aging and settling into families that include US-citizen children. The share of flexible newcomers who are in the US less than a year fell from over 20 percent in 2000 to one percent today. Legal H-2A Mexican workers are today’s flexible workers, willing to migrate to jobs. The number of California farm jobs certified to be filled with H-2A workers quintupled in five years, from 3,000 in FY12 to 15,000 in FY17, and is poised to continue expanding. President Trump promised a new era in immigration enforcement, and took steps to build a wall on Mexico-US border and to increase deportations of unauthorized foreigners. Over half of California farm workers are unauthorized, which makes them and their families vulnerable to stepped-up enforcement of immigration laws at a time when the state government aims to improve protections and services for all immigrants. The clash between Trump and California over how to deal with unauthorized foreigners is playing out in many forums, with the most visible effect heightened fear in immigrant communities. The Agricultural Labor Relations Board was created in 1975 to implement a state law that aimed “to ensure peace in the agricultural fields by guaranteeing justice for all agricultural workers and stability in labor relations.” In fall 1975, there were almost 100 ALRB-supervised elections a month. Unions won over 95 percent of the elections whose results were certified, prompting contemporary observers to predict that most farm workers would soon be employed on farms with collective bargaining agreements. This did not happen, but the ALRB gained new powers under the 2002 Mandatory Mediation and Conciliation, upheld by the state’s Supreme Court in 2017. MMC has so far been used mostly to achieve collective bargaining agreements on farms with union elections before 2002. The NAFTA, which went into effect January 1, 1994, was the first free-trade agreement between countries with eight to one income differences, as between Mexico and the US; today there are more such FTAs. NAFTA began to lower trade and investment barriers between Canada, Mexico and the US at a time when Canada’s economy was smaller than California’s, and Mexico’s was smaller than that of Los Angeles county. NAFTA’s major effects were expected to be in Mexico, which began to dis-mantle protectionist policies in the mid-1980s and in 1990 proposed NAFTA to enable Mexico “to export more tomatoes and fewer tomato pickers to the US.” NAFTA accelerated changes already underway in Mexico, encouraging the expansion of export-oriented manufacturing and agriculture in the north and central states. NAFTA also speeded up internal migration from rural to urban areas and from south to north. Mexico-US trade increased rapidly, from $133 billion in 1994 to $580 billion in 2016, when the US had a $56 billion trade deficit with Mexico. Much of this trade deficit arises from autos that are assembled in Mexico but incorporate parts from Canada and the US that often cross the border several times before final assembly. The US had an agricultural trade surplus with Mexico until 2014, when growing US imports of Mexican fresh fruits and vegetables surpassed US exports of corn, grains, and meat to Mexico. The US now has an agricultural trade deficit with Mexico, reflecting rising imports of high value commodities and lower prices for the corn and grains that the US exports to Mexico. Most of the fresh avocados, cucumbers, raspberries, and tomatoes consumed by Americans are imported from Mexico. Mexican fresh produce imports are poised to continue increasing due to investments made by Mexican farmers in protected culture structures, including greenhouses and plastic-covered tunnels that protect plants from the sun and pests, raise yields, and extend seasons. President Trump threatened to pull the US from NAFTA before deciding to renegotiate the agreement. After eight rounds of negotiations concluded in April 2018, a renegotiated NAFTA may be in sight, but there is uncertainty about whether Florida tomato and berry growers will be allowed to request additional protection from Mexican imports. Most of US agriculture opposes the effort to add special protections for growers in particular regions of the US, fearing retaliation and loss of goodwill that speeds shipments of perishable produce over the border. Trade flows are more akin to complex maps than to lines between countries, making the Trump administration focus on bilateral trade balances misplaced. A special complication in agriculture is that producers of perishable commodities sometimes sell at prices below their total costs but above their variable (picking) costs, thereby recouping some of their fixed costs. The perishable nature of farm commodities and fluctuating prices mean that penalizing foreigners who “dump” commodities at prices below their full costs of production hurts farmers who make rational economic decisions. The H-2A program allows farmers anticipating labor shortages to receive certification from the US Department of Labor that US workers will not be available to fill particular jobs and that the presence of H-2A guest workers will not adversely affect similar US workers. USCIS reviews employer petitions for the specific foreign workers requested by employers, and DOS issues them H-2A visas, usually for a maximum 10-month US stay. 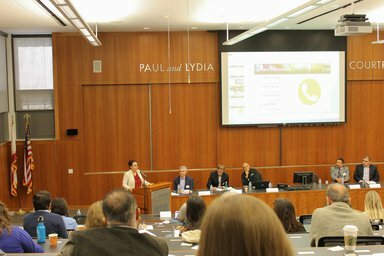 California farmers have long pushed for three major changes in the H-2A program, viz, (1) end certification or DOL-oversight of efforts to recruit US workers, (2) eliminate the requirement to provide free housing to H-2A workers, and (3) reduce the Adverse Effect Wage Rate, $13.18 an hour in California in 2018 when the state’s minimum wage is $11 an hour, that must be paid to H-2A workers. The AgJOBS agreement negotiated in 2000 between worker and grower representatives would have ended or modified these certification, housing, and AEWR requirements while legalizing currently unauthorized farm workers. AgJOBS was included in immigration reform bills approved by the Senate in 2006 and 2013 but not enacted. Grower interest in the H-2A program increased during the 2005-07 housing boom and even more as unauthorized Mexico-US migration slowed after the 2008-09 recession. As fewer workers appeared in Salinas, California vegetable growers familiar with the H-2A program due to winter operations in Yuma and Imperial began to bring H-2A workers to the Salinas Valley for summer harvests. Imperial Valley-based Fresh Harvest is the state’s largest employer of H-2A workers, and places most of its H-2A workers in Salinas-area berry and vegetable fields. Fresh Harvest, part of a larger logistics and farming enterprise with operations in Mexico and the US, houses many of its H-2A workers in Salinas-area motels, although Fresh Harvest was able to convert a closed King City tomato packing shed into worker housing that it owns. Fresh Harvest has 75 buses and 50 vans to transport workers from their temporary housing to fields. Fresh Harvest began as a custom harvester for Fresh Express, a bagged salad firm, and evolved into the supplier of labor to harvest 20 percent of the state’s lettuce for bagged salads and 20 percent of the state’s berries. Fresh Harvest is proud of its ability to help workers with leadership potential to become supervisors. ISA Contracting, by contrast, hires mostly local workers to harvest mature green tomatoes for $0.72 per five-gallon bucket, a piece rate that enables many workers to earn $20 an hour or more for five-six hour days picking at an intense pace. ISA serves several of the state’s eight major tomato grower-shippers, and began to recruit H-2A workers in 2017, using current workers from Oaxaca to recruit 45 additional workers in Oaxaca. ISA and the workers had good experiences: 300 more workers in Oaxaca want to come as H-2A workers in 2018. Careful recruitment in Mexico is key for both Fresh Harvest and ISA. Worker interest in US jobs paying $13 an hour and offering transportation and housing is very high, but many of the workers who want to become H-2As are not productive enough to justify US wages that are 10 times more than prevailing farm wages in Mexico. Fresh Harvest tests workers in Mexico, having them climb a ladder with a 60-pound weight to see if they can pick avocados and wheel a strawberry cart to determine if they will be productive berry pickers. H-2A workers are younger than the state’s average crop worker, typically in their early 30s rather than their late 30s. Recruiting an H-2A worker involves costs of up to $1,000 per worker for visas and transportation, plus housing in the US, but ensures “loyal” workers who are tied to the employer. As the H-2A program continues to expand in coastal areas with high living costs, finding housing looms as a major challenge. There are reports of competition and resentment between H-2A and local workers in Salinas that arise from the high cost of housing. Many local workers rent housing and, with the HUD fair market rent for a 2-bedroom apartment in Monterey county $1,433 a month in 2018, a worker earning $700 a week or $2,800 a month would be paying half of his/her gross earnings in rent. H-2A workers who do not pay rent or social security taxes and have more take-home pay. Half of the state’s farm workers are in the eight-county San Joaquin Valley between Stockton and Bakersfield, and most are employed to harvest tree fruits. San Joaquin Valley growers have been slower to embrace the H-2A program than Salinas-area berry and vegetable growers, in part because workers are more available in the lower-cost-of-living San Joaquin Valley. EDD processes employer job orders, conducts prevailing piece rate studies, and inspects grower housing, although HCD will begin inspecting housing for five or more farm workers. DOL is finding violations of H-2A regulations, including using J-1 exchange visitors as farm workers, favoring H-2A over US workers, and mis-classifying the nature of farming operations to avoid having US workers be considered comparable to H-2A workers and entitled to the $13.18 AEWR. The Salinas area has the highest number and share of H-2A workers, a peak 10,000 H-2A workers among a total of 82,000 farm workers. Some settled workers in the Salinas area complain that younger H-2A workers are able to earn more at prevailing piece rates. If the presence of H-2A workers reduces the earnings of local workers, the result could be more poverty and social ills among settled workers and their children. Donald Trump campaigned on seven items, including two that dealt with illegal migration, building a wall on the Mexico-US border and deporting the 11 million unauthorized foreigners in the US. President Trump issued three executive orders during his first week in office, setting in motion plans to build a wall on the 2,000 mile Mexico-US border, increase deportations, and reduce refugee admissions. DHS in 2017 commissioned prototypes of border walls and hired more agents to bolster the 21,000 strong Border Patrol. DHS also encouraged its 10,000 Immigration and Customs Enforcement agents to more aggressively search for convicted non-citizen criminals, most of whom are convicted under state and local laws and housed in state and local prisons and jails, and to arrest any other unauthorized foreigners encountered during enforcement operations. Refugee admissions were reduced to 45,000 in FY18, but the various iterations of the “travel ban” that aimed to halt admissions from particular countries were halted temporarily by federal courts. President Trump ended the Deferred Action for Childhood Arrivals or DACA program that was created by President Obama in June 2012. DACA was to end March 5, 2018, but judicial injunctions require DHS to renew expiring DACA permits. DACA in September 2017 had given two-year work visas to 690,000 unauthorized foreigners who arrived in the US before the age of 16, completed high school or military service, and were under 35 when they first applied. Most DACA recipients may receive driver’s licenses. President Trump called on Congress to deal with DACA recipients. Democrats want a “clean” DACA fix that put Dreamers on a path to US citizenship, while Trump proposed a four-pronged immigration reform that included a Dreamer path to US citizenship, funding for a Mexico-US border wall, an end to the diversity visa lottery, and restrictions on immigrants and US citizens sponsoring their relatives for immigrant visas. After a three-day government shutdown in January 2018, Congress did not act. Some states and cities are resisting DHS efforts to step up immigration enforcement. California enacted three laws, SB 54, AB 450, and AB 103, that restrict cooperation between state and local police and DHS’s ICE agency unless the person in question has been convicted of serious crimes; AB 103 empowers the state to inspect immigrant detention facilities. AB 450 requires California employers to ensure that ICE agents have a judicial warrant or subpoena before entering non-public areas of workplaces and to provide notice to employees if they receive an ICE request to review the employer's immigration documents. The US Department of Justice in March 2018 sued to have SB 54, AB 450, and AB 103 declared unconstitutional, setting up a confrontation between the state and federal governments based on the 10th amendment. Arizona’s effort to do more immigration enforcement was struck down by the US Supreme Court as interfering with the federal government’s sole authority over immigration. California’s effort to not assist federal immigration law enforcement is being tested in the suits over SB 54, AB 450, and AB 103. ICE enforcement sweeps in search of criminals are heightening fear in immigrant communities; half of those arrested in the interior of the US have not been convicted of US crimes. Audits of the Employment Eligibility Verification Form I-9s at farm and farm-related businesses often lead to employees quitting or being dismissed because they presented false documents when hired. The fear in farm worker and immigrant communities is growing, encouraging some unauthorized workers to stay home rather than risk detection during rides to work. Since many farm worker families have US-born children, parents who are arrested need to decide whether to take children with them to their countries of origin or leave them in the US. 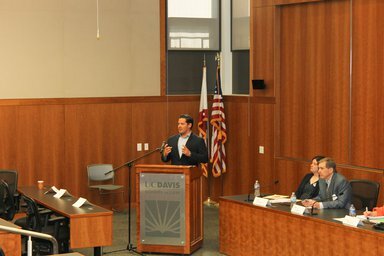 The California Supreme Court in November 2017 upheld the state's 2002 Mandatory Mediation and Conciliation (MMC) law and concluded that a farm worker union remains certified to represent farm workers until it is decertified, that is, an employer cannot argue that a certified union “abandoned” the workers it was elected to represent. The ALRB developed its “certified until decertified” doctrine in the 1980s, and the California Supreme Court upheld it. MMC was enacted to reduce employer-caused delays in bargaining, so that a certified union could normally expect a collective bargaining agreement via negotiations or MMC within a year. MMC was expected to usher in a new era of organizing, elections, and CBAs, but instead was invoked most often at "old certifications," where a union was certified to represent workers before 2002, the employer committed an unfair labor practice, and a collective bargaining agreement was never signed. Gerawan was an old certification. The ALRB certified the UFW as the bargaining representative for Gerawan workers in July 1992, but no contract was negotiated during a February 1995 bargaining session, and there were no further negotiations. The UFW in 2012 requested bargaining and, after several sessions, the UFW requested MMC, prompting objections from some Gerawan workers who were not employed by Gerawan in the early 1990s. Gerawan refused to implement the contract developed under MMC, the ALRB refused to count the ballots in a decertification vote that Gerawan unlawfully interfered with, and an Appeals Court declared MMC unconstitutional. The California Supreme Court reversed the Appeals Court, giving new life to union requests for MMC at old certifications. Gerawan and other MMC-related cases figure prominently in the ALRB’s work. The ALRB concluded a series of “tomato cases” in which employers were found to have bargained in bad faith in the late 1980s and owed their workers make whole wages and benefits. The fresh tomato industry, which involves picking mature-green tomatoes into 5-gallon buckets and ripening them with ethylene, has been restructured in recent years by buyouts, unionization, and shrinking production; Mexico now provides over half of the fresh tomatoes consumed in the US. Most of the ULP charges filed with the ALRB are resolved without formal hearings, Board decisions and appeals. The most common charges deal with workers who are unlawfully disciplined after engaging in protected concerted activities, such as being fired after requesting higher wages with no union present. The fact that the General Counsel can resolve such cases quickly has prompted an uptick in activity. Cannabis may be grown legally in California after January 1, 2018, and the regulations implementing Proposition 64 include special labor provisions. Marijuana growers with 20 or more employees may sign a labor peace agreement with a union that gives organizers access to workers and allows employers and unions in cannabis, but not in other commodities, to negotiate collective bargaining agreements without an election to determine if workers want to be represented by a particular union. As of April 2018, less than one percent of the state’s marijuana growers had received required licenses from CDFA to grow up to one acre of marijuana. Some growers with licenses secured 20 or 40 so that they can grow marijuana in large blocks, often taking over closed greenhouses that once grew flowers. There have not yet been any labor peace agreements, but the United Food and Commercial Workers has filed eight notices with the ALRB to take access to workers on marijuana farms under current ALRB regulations. Four timely issues will be discussed. First is the re-negotiation of the NAFTA agreement that lowered barriers to trade and investment between Canada, Mexico, and the US. Second is the rapid growth in the H-2A program, which certified 200,000 jobs to be filled by guest workers in 2017, including 15,000 in California. Third are the effects of changing immigration policies on agriculture, farm workers, and agricultural communities. Fourth is an update on ALRB activities and court decisions that affect mandatory mediation and conciliation and union abandonment. We are grateful for the support of the UC Ag Issues Center and the UCD Gifford Center and Migration Research Cluster, the Giannini, Rosenberg, and WKF foundations, and the ALRB. For further information, contact Philip Martin.